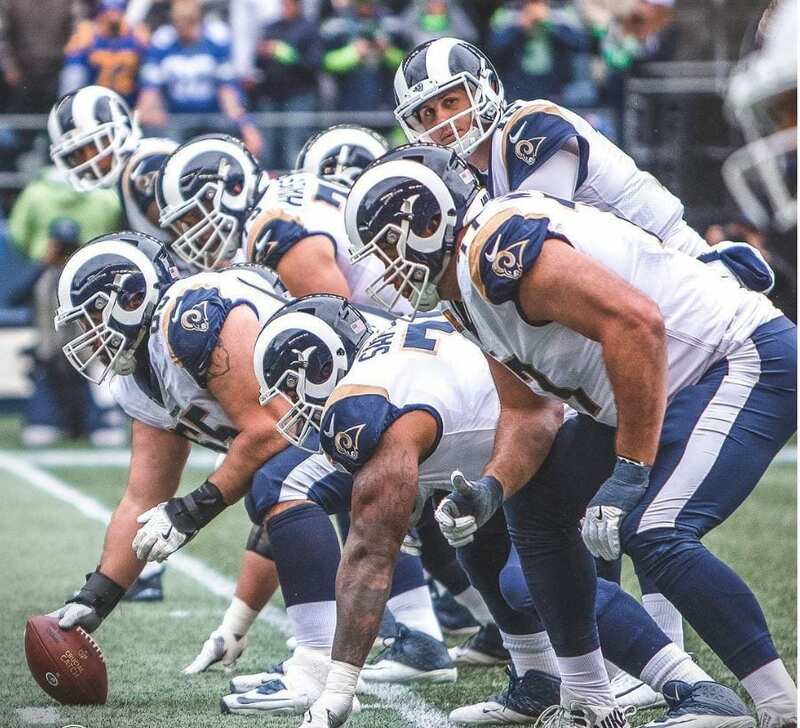 Photo via Rams Official Instagram. Home field advantage never looked so good! 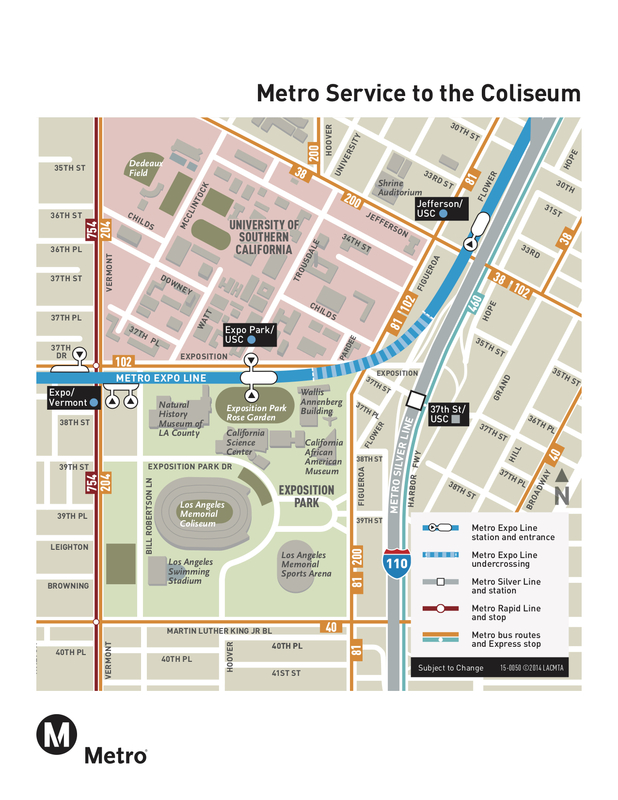 The most anticipated game of the 2018 football season is now taking place in Los Angeles and can be reached via the Metro Expo Line (use the Expo Park/USC or Expo/Vermont Stations) or the Silver Line (37th/USC Station). The NFL earlier this week announced the Rams-Chiefs showdown on Monday would move from Mexico City’s Estadio Azteca Stadium — where the field conditions were deemed unplayable — to the L.A. Coliseum. Kickoff is set for 5:15 p.m., which is obviously not the best time to drive to a football game (or anywhere) in our region. The Expo Line will be running every six minutes through 11 p.m. with three-car trains to accommodate fans. Given that Monday is a workday, parking at Metro stations may be limited but there is plenty of commercial parking near Metro stations, especially in downtown Los Angeles. Our best advice to get to the game: leave early to avoid rush hour on local roads and transit. The game will likely have a big crowd and could be a preview of Super Bowl LIII with both teams having 9-1 records and explosive offenses (the Rams have an excellent defense, too). It will also be the first Monday night Rams game at the L.A. Coliseum since 1979! Tickets for the public are available for purchase at therams.com. Due to the last-minute game relocation, tickets for the game will be mobile only. Fans can access mobile game-day tickets from the Los Angeles Rams or Ticket Master mobile app. The Rams will also be providing thousands of complimentary tickets to first responders and those who have been affected by the recent wildfires. You mentioned taking the Silver Line to the Rams game ? Will there also be increased Silver Line service ? And remember: the one way Silver Line fare is $2.50, not $1.75, $1.35 peak for seniors, 95 cents off-peak. If Metro is going to charge more for Silver Line service, the least one could expect is that patrons are notified of the fare difference. Will metrolink or Amtrak add any more trains? There will not be extra service as they are already running peak weekday evening service. Thank you.